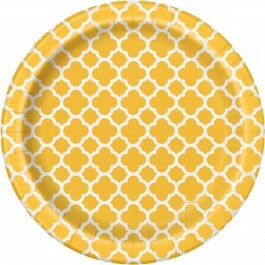 Bring some festivity and warmth to your party with our sunflower yellow quatrefoil supplies. 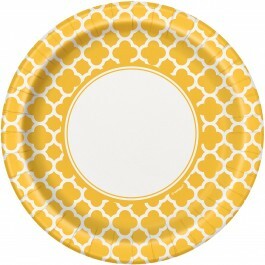 We have complete tableware supplies including table cover, lunch plates, dessert plates, lunch napkins, beverage napkins, and cups for giving your party a coordinated look. 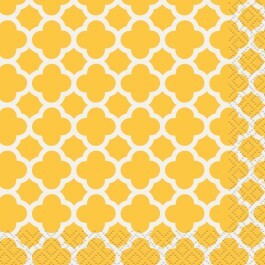 All these supplies feature a regal quatrefoil pattern oozing elegance and style.These supplies are perfect for a summer brunch or any summer theme party. 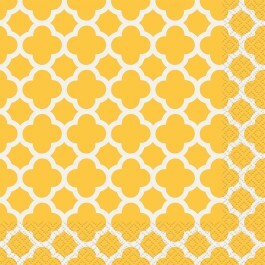 These sunflower yellow quatrefoil supplies can be used alone or added as accents to other coordinating and solid patterns. 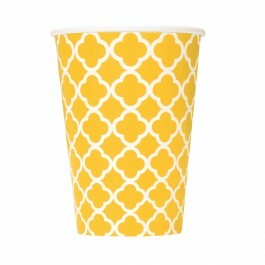 We also offer wide-range of solid color yellow balloons, decorations at a discounted price. 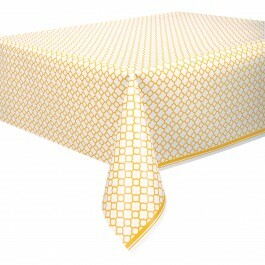 Buy now at a discounted price in India.